Doug is a chef and founder of Silo, the UK’s first zero-waste restaurant in Brighton, as well as Executive Chef of the recently opened CUB in Hoxton, London. Doug began his career at a restaurant called Winteringham Fields, then a 2 Michelin star restaurant in the north of England. From there, he moved to London to work at St. John, which became the true foundation of his career. This was followed by a food pilgrimage, doing work experience in the world’s best restaurants, such as the Fat Duck and Noma. After working his way through Australia’s best restaurants, he founded a pop-up restaurant concept called ‘Wasted’ in both Melbourne and Sydney. 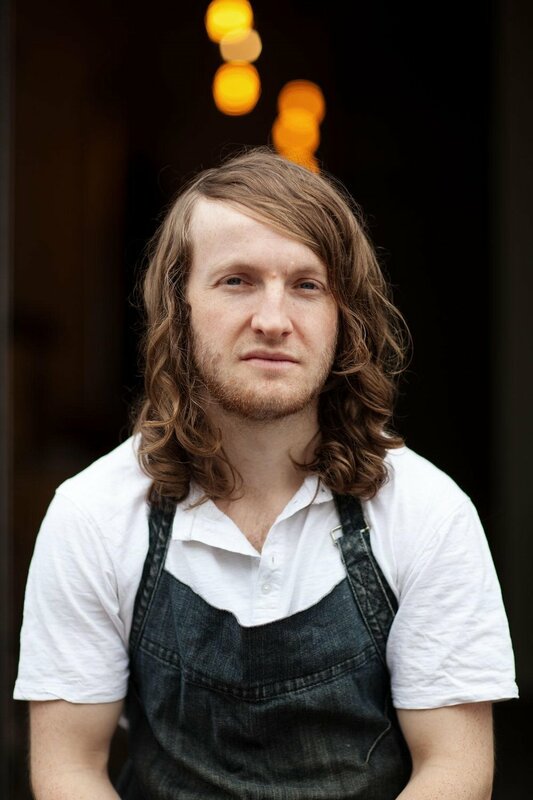 In 2009, Douglas won the ‘BBC Young Chef of the Year Award’ before opening the doors of Silo in 2014, the UK’s first zero-waste restaurant, lovingly designed from back to front, always with the bin in mind. Doug and his team successfully eliminate the production of waste by choosing to trade directly with farmers, using reusable crates and other delivery vessels, as well as local ingredients that themselves generate no waste. Any scraps and trimmings from the cooking or leftover food go straight into the restaurant’s on-site compost machine, generating up to 60kg of compost in just 24 hours, in-turn going back to the farmers, helping to produce more food, successfully closing the loop. Two years after opening, Silo won the prestigious Observer Food Monthly award for ‘Most Ethical Restaurant’. In early 2018, Doug gave a TEDTalk on ‘Waste is a failure of the imagination’, which can be found here, and June of the same year, Silo won the Innovation Award at the Craft Guild of Chefs Awards.